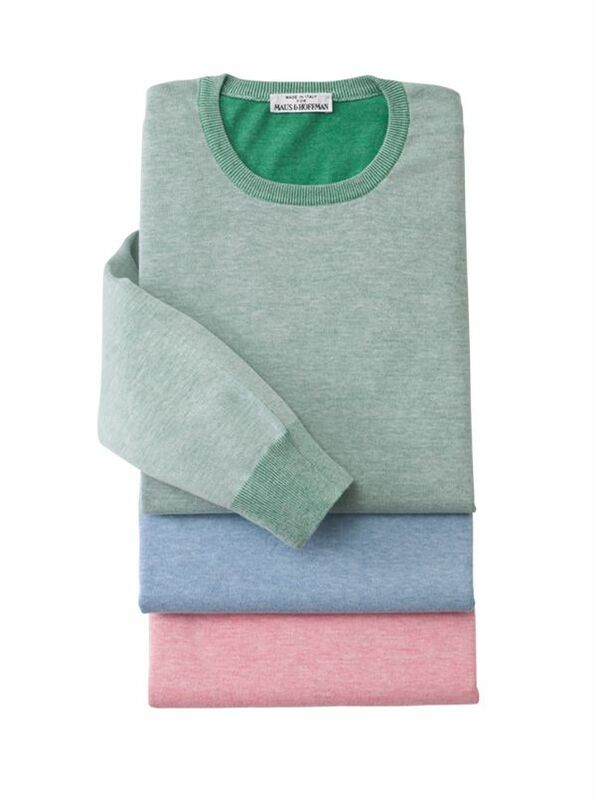 Frosted Cotton Crewnecks from Italy are pure cotton knitted in a special two-color process to produce soft subtle spring hues. 100% cotton with ribbed collar cuffs and waist. 2018 © Maus and Hoffman. All Rights Reserved.